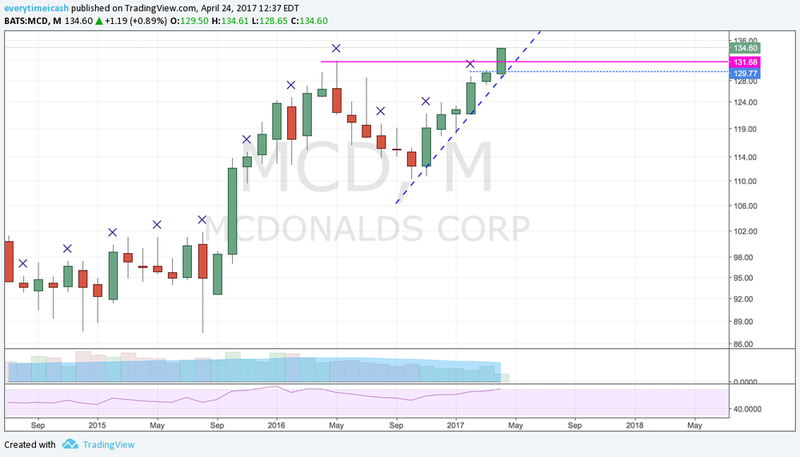 Expectations are high for McDonald's. The stock is up 10% since its fourth quarter report. The S&P 500 has risen 4.4% over the same period. 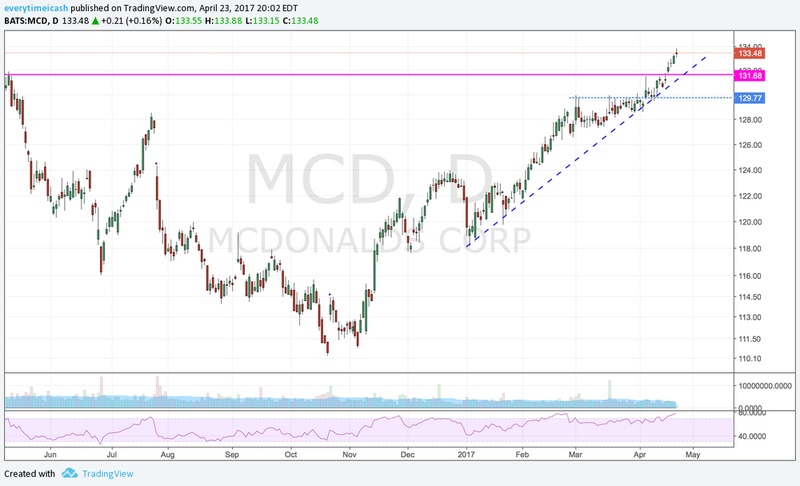 The stock, which is trading at an all-time high, could be at risk of a sell-off if McDonald's fails to live up to the expectations with its results and/or outlook.